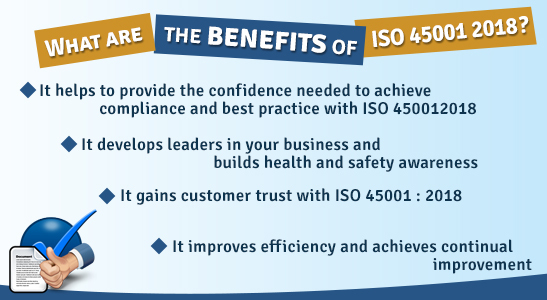 ISO 45001:2018 is a widely used British standard system to formulate sustainable occupational health and safety management system around the world. The compliance of this system can help organizations provide sound OHS system for employees, which protects them from health risks and hazards. Students with IRCA-recognized Lead Auditors certification have the authority to offer advises and effectively plan and execute safety measures in all kinds of operational environments. 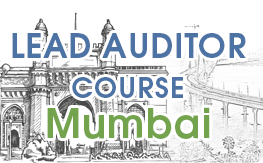 The course offered at Green World Group in Mumbai covers a part of training requirements to seek registration under IRCA OH&S Auditor/Lead Auditor Registration Scheme. The five-day intensive course covers following topics. Though there is no specific qualification to join this course, it is desirable that students possess the basic understanding on ISO certification procedures and safety audit. Others should first take up IRCA2121 foundation course and then join this training program. As international educational institution, Green World Group in Mumbai has been the first choice for students aspiring for ISO 45001:2018 lead auditor certifications. 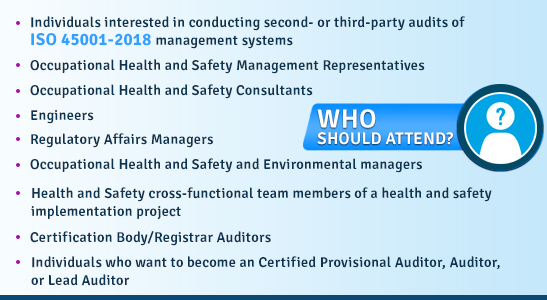 The centre offers world-class and cost-effective training on safety and health management, audit planning and techniques, thorough analysis of international standards and practices on risk assessment, documentation features and other standard information needed to perform auditing. Students can look for state-of-the-art class-rooms and high-class teaching aids along with guidance from experienced faculty. Students are also provided individual attention and guidance to sharpen their auditing skills. We also provide every candidate with career and placement guidance. Green World Group is a world-wide leader in offering tailor-made courses on occupational safety and health which are aimed at making workplaces a safe haven for workers. Green World Group in Mumbai has been catering to the interests of industries in and around the western metropolis by introducing several indigenous diplomas in workplace safety and health and also courses certified by renowned international educational boards like IOSH, NEBOSH, NCFE, ROSPA, CPD, HACCP, and IRCA. Since industries need frequent auditing to update their safety and health management systems, Green World Group in Mumbai has introduced International Register of Certificated Auditors, London (IRCA)-recognized Lead Auditor Course ISO 45001:2018 in association with BSCIC Certification Pvt Ltd. Successful candidates can undertake auditing for companies and certify their occupational health and safety preparedness. IRCA-accredited ISO 45001 auditor and lead auditor courses are offered at Green World Group in Mumbai for both working professionals and students who want to make a career in auditing. The certification helps students to acquire accredited membership in International Register of Certified Auditors (IRCA). IRCA accreditation gives candidates an edge over others while auditing companies to have effective health and safety management systems in order to make workplaces free from accidents and hazards.